The Vienna Policy Conference, October 29-30, 2015, will delve into one of the most important trends driving change in European politics: the dramatic drop in public trust in many political institutions. Policy researchers, activists, leading European thinkers, and political figures will discuss new research and analysis of the causes and consequences of the trust gap across the European continent. Debating Europe and openDemocracy will be covering the event and its follow-up, and we begin here with the debate that Olivier Hoedeman, research and campaigning coordinator of the Corporate Europe Observatory most wants to see take place under this heading. 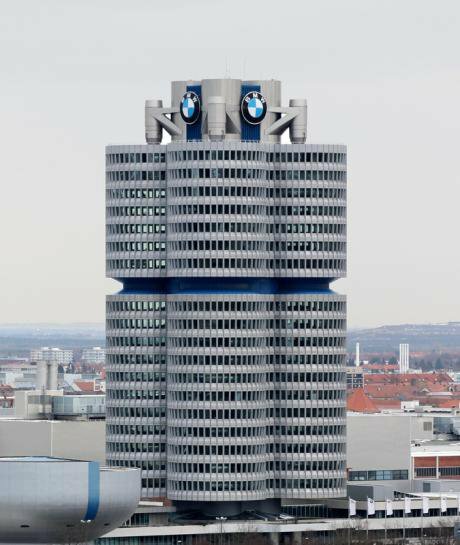 September 24,2015.BMW forced to deny rigging emissions test while VW issues profit warning. Demotix/ Richard Jay. All rights reserved.One of the key factors behind the growing crisis in public trust is the perception – to a large extent justified – that governments are increasingly captured by powerful special interests and therefore unable (or even unwilling) to protect the public interest. Trust in the European institutions is at an all-time low, with barely a third of the public saying they trust the European Union, according to a December 2013 Eurobarometer poll (down from 57 % in 2007, before the financial crises). Meanwhile, 70% of EU citizens believe there is corruption in the EU institutions. The Vienna conference asks whether trust can be rebuilt and accountability strengthened through anti-corruption efforts and transparency. My answer is that strong and well-enforced transparency and ethics rules are a pre-condition for trust, but that this is not sufficient. Citizens will not trust the state unless it acts in ways that effectively avoid capture by special interests. Governments and public institutions must earn the respect of the public. This requires defending the public interest by standing up to powerful economic interests. Unfortunately there is very little appetite for this among political elites in Europe today. Far too often, transparency and ethics initiatives are introduced in reaction to lobbying scandals, but deeper problems of capture continue regardless of the transparency and anti-corruption frameworks. After ten years of campaigns against the corporate capture of EU decision-making, its clear that some progress has been made in lobby transparency and ethics rules, but genuine transparency is still far from achieved, let alone adequate regulation to prevent conflicts of interest, undue influence and the capture of decision-making by narrow economic interests. The European Commission's typical pattern of reaction to the many lobbying scandals that have emerged in Brussels over the last ten years has been first denial and dismissal of concerns, and then in some cases a half-hearted proposal for reform that does not effectively solve the problem. In areas such as banking regulation and international trade policy, 80% or more of the meetings are with big business. Promises of striving for balance in meetings with different stakeholders appear to be empty words. After seeing concerns about corporate lobbying power becoming an issue in several countries in the run-up the European Parliament elections in 2014, Commission President Jean-Claude Juncker has made several surprise announcements. All meetings that Commissioners and top officials have with lobbyists are to be listed online. While this has been refreshing compared to the inertia of the Barroso years, these measures are quite limited. Research by watchdog groups has revealed that more than 75% of the lobby meetings of Commissioners and high-level Commission officials are with lobbyists representing business interests. In areas such as banking regulation and international trade policy, 80% or more of the meetings are with big business. Promises of striving for balance in meetings with different stakeholders appear to be empty words. Transparency measures reveal an extreme imbalance in access to decision-making, a strong indication of capture. Being transparent while at the same time continuing business as usual is obviously not going to help build public trust. The consistent refusal to take the kind of determined action needed to prevent corporate capture scandals reflects a flawed political culture at the Commission. Excessively close contacts and cooperation with big business lobbyists are considered natural and unproblematic, because large parts of the Commission see it as their mission to promote these interests. The EU's trade department, for instance, prepared a negotiation position in the TTIP talks with the US by actively seeking guidance from big business lobby groups, while other interests were largely ignored. The result: negotiations were launched towards a deal with the US that include controversial investor-to-state courts (ISDS) and a regulatory harmonisation system that fits corporate interests but would have disastrous consequences for EU citizens. Only after an unprecedented wave of citizen protest had emerged, did the Commission introduce a number of transparency measures but without changing the negotiating objectives that had sparked the public's concern. A fundamental problem is the dominance of neoliberal ideology within the EU institutions, a set of beliefs that is centred around marketisation, deregulation and the idea that what is good for big business is good for society. This approach has an inherent risk of enabling the corporate capture of decision-making. The problem in fact goes even deeper: the scandal exposes what has been termed “Europe’s automotive-political complex”: the far too cosy relations between car industry lobbyists and decision-makers, both in Brussels and in key member states such as Germany. The European Commission and the German government both knew of the 'defeat devices' fitted into cars to cheat under testing conditions – but failed to act. That it took US regulators to declare there was a problem is a serious blow to the EU and lays bare the consequences of bringing business to the regulating table – in this case hundreds of deaths and a huge amount of extra dangerous emissions. The European car industry has been successfully flexing its lobbying muscles for decades: back in the mid-90s it successfully lobbied against binding emissions targets, instead proposing a voluntary, industry-led scheme. The scheme failed – industry did not meet its voluntary target – but managed to delay binding targets for a decade. When binding targets were finally introduced, they were greatly watered down. Industry has since used the industry-dominated Commission advisory group 'CARS21' to further delay emissions standards, while BMW even enlisted German Chancellor Angela Merkel to lobby on their behalf to further delay the introduction of standards. There have also been ongoing lobbying efforts to delay a more rigorous testing regime, although this scandal will surely move things along more quickly. New transparency and ethics rules to prevent undue lobbying influence are important in all of this, but the reality is that this scandal reflects a cultural problem within the Brussels Bubble that has seen regulators and industry in bed for decades. Until EU decision makers stop conflating the interests of big corporations with those of the public, profit will come before climate and public health. If we want policies in the interests of the environment and public health, then the same companies most likely to resist them should not be allowed to write them. This applies at all stages of legislation – from ensuring expert groups are independent, to stopping MEP-industry fora, to seeing which industry players are lobbying and which member states are trying to weaken legislation. Change will have to go far beyond transparency. The car industry's lobbying is fairly transparent: almost all car manufacturers and their trade associations are in the EU lobby transparency register which shows that they in 2014 spent more than €18 million lobbying in Brussels. Also the car industry's heavy presence in Commission advisory groups is visible, but this in itself does not prevent scandals like Volkswagen-gate. If Europe is serious about regulating the car industry and protecting public health and the climate, it needs to stand up to the car lobby rather than allowing those resisting regulation to write it. The political response to the Volkswagen scandal will be a crucial test case in the wider battle against corporate capture and for public institutions that deserve the trust of citizens.